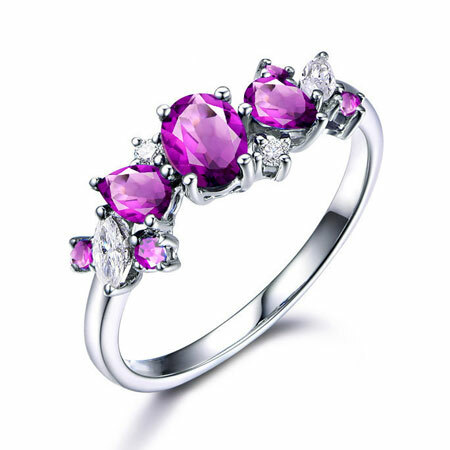 Unique design for this three stone sterling silver amethyst engagement rings. 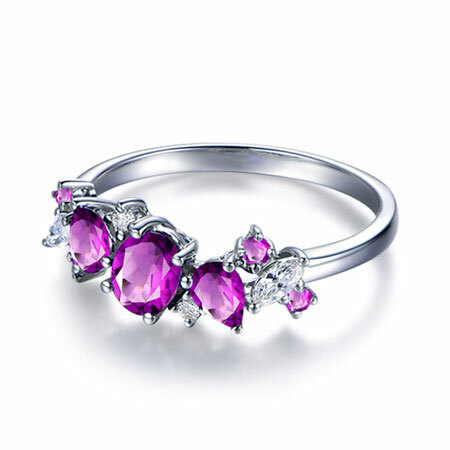 The natural amethyst alexandrite stones are cut in heart shape. 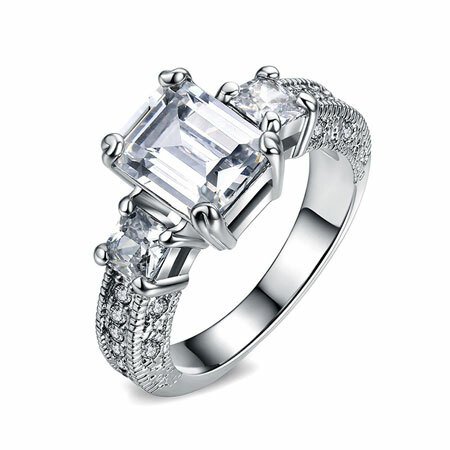 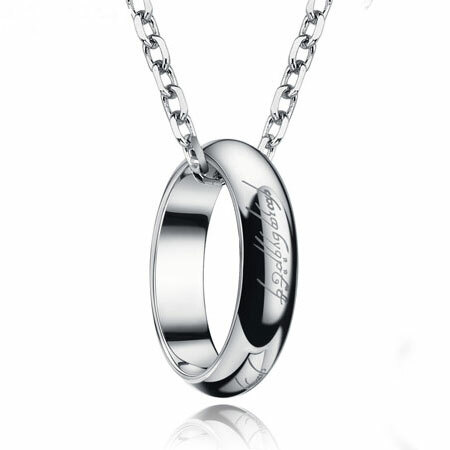 There are also three cubic zirconia stones set around them, shining like diamonds. 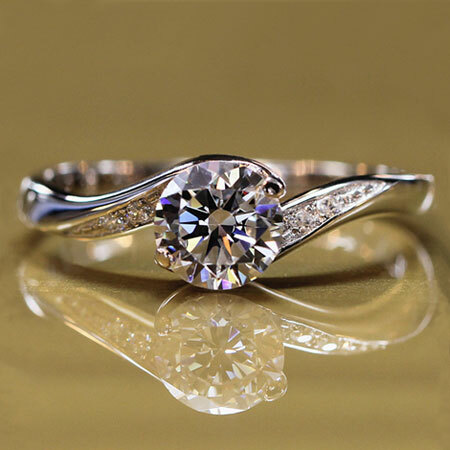 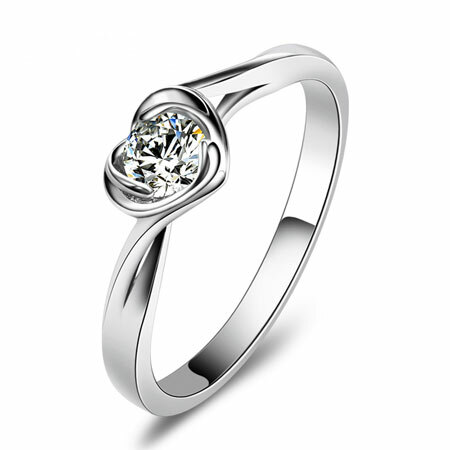 Show your great love for your girlfriend with this three heart stone engagement ring. 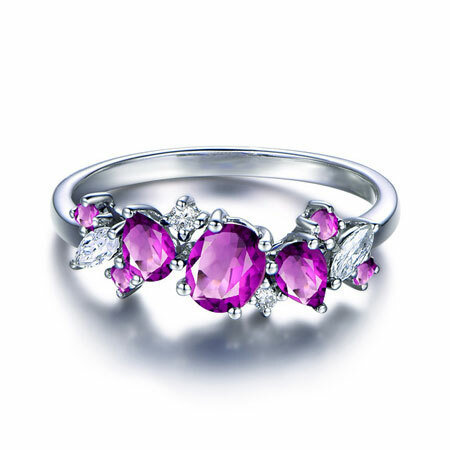 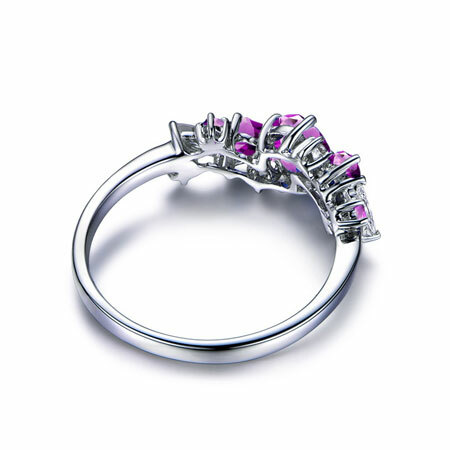 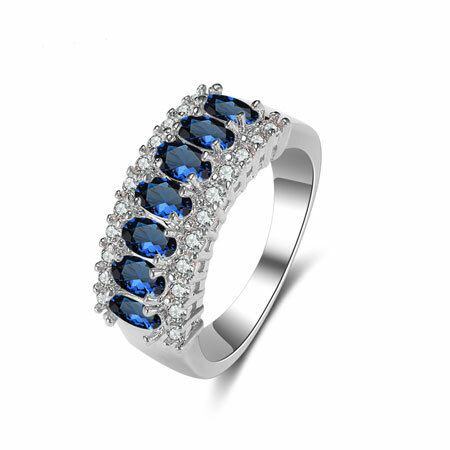 For more alexandrite rings, please also see the Sapphire Diamond Half Eternity rings.